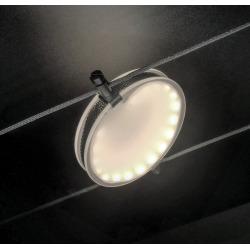 Cable Systems that offer a solution to any lighting needs! 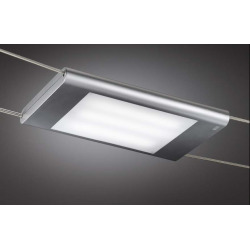 Innovative and cutting edge equipment because, thanks to their simple design, they can solve all the problems related to the discontinuity of the walls, ceilings and even if you do not have power in the vicinity of the light. Easy to install. CABLE SYSTEMS There are 34 products. 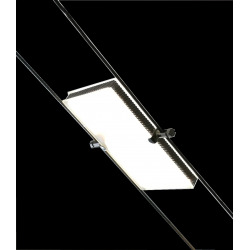 Lighting Unit for dual cable system to be used indoors, for diffused lighting. 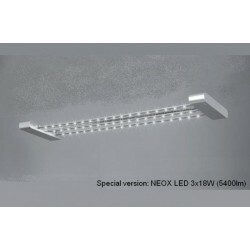 Lighting (960 mm): 2 39W T5 fluorescent bulbs or LED 3x8W Power. 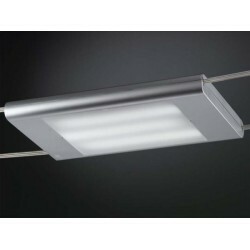 Lighting (1260 mm): 2 fluorescent lamps T5 54W Power Mains voltage 230V, with power supply Electronic Incorporated. 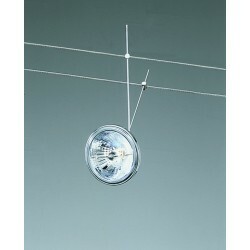 Unit Lighting for Dual System Cable, tilting, to be used indoors, for diffuse lighting. 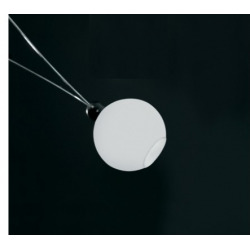 The lamp body is constructed of thermoplastic. 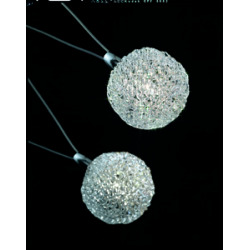 The device is available in silver or white finishes. 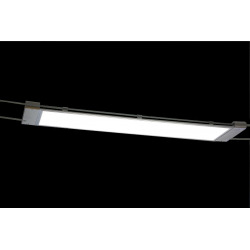 Available accessories: louvre chromed metal for greater visual comfort only on request. 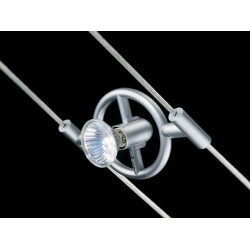 Adjustable Spotlight for Double System Cable to be used indoors, for direct lighting accent. The lamp body is constructed of metal. Wheel on the horizontal axis for 350 °, vertically 180 °. 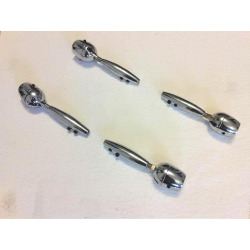 Available in polished chrome finishes. 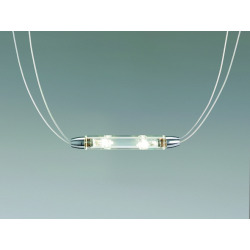 Available in three different lengths: 100 mm / 250 mm / 500 mm. 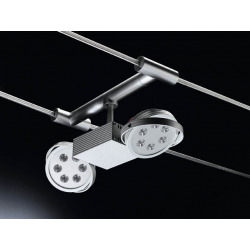 Adjustable Spotlight for Double Cable System, to be used indoors, for diffused lighting. 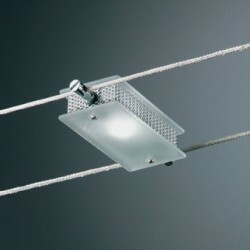 The lamp body is constituted by a structure made of wire mesh, satin tempered glass diffusers. 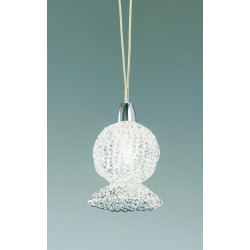 Available in polished chrome finish. 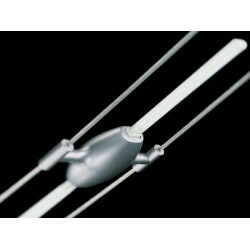 Adjustable LED Spotlight for Double System Cable to be used indoors, for direct lighting accent. 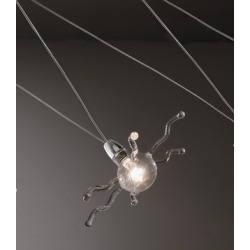 The Lamp body is constructed of metal. 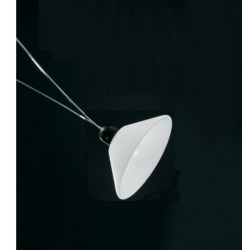 It can rotates on the horizontal axis for 180°, in the vertical plane for 180°. 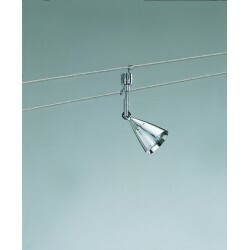 Available in polished chrome and brushed nickel. 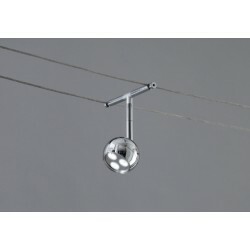 Lighting Suspension for double cable system, to be used indoors, for diffused lighting. 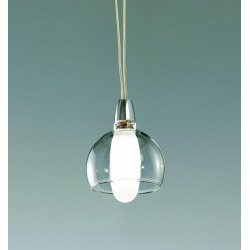 The lamp body is built in polycarbonate uploaded glass, while the speaker and made of tempered glass blown, conical or spherical shape. The device is available in black finish.